In 1966, when the class of 1916 returned to MIT for its 50th reunion, it organized a fund to purchase a reunion jacket for each of its classmates. 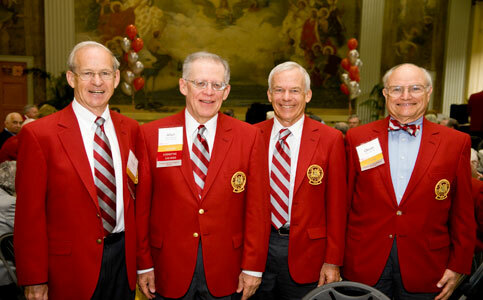 Since then, alumni attending their 50th reunions are distinguished by wearing gray slacks or skirts and a cardinal blazer, bearing a detachable, intricately stitched MIT breast-procket crest. For many years, the 50th reunion class has played an important role in Commencement exercises by leading gradutes into Killian Court.